What is the Festival of Life and Death at Xcaret? The Day of the Dead in Mexico is a great celebration full of rituals and symbolism where the main objective is to remember and commemorate people who are no longer with us physically. This is a very special time of year in Mexico and it is even recognized by UNESCO as an “Intangible Cultural Heritage of Humanity”. Unfortunately it is super complicated to visit all the unique places in Mexico where this day is celebrated, not only for the amount of time this would involve but also for the cost of so many trips! So Xcaret brings it all to you in one place and for 12 years has been celebrating the “Festival of Life and Death”, a four day event (from October 30 to November 2 of each year) where specific states of Mexico are lauded as guests of honor. Each guest state adorns the park with spectacular altars and offerings. As well as dance, theater and performances by local and regional artists, and also features the participation of stellar artists such as the singer Lila Downs, the actor Ignacio López Tarso and even the tenor Fernando de la Mora. The most irresistible part of the Festival of Life and Death of Xcaret is the food and treats! Typical dishes like “pib” and a variety of tamales are brought by the local communities and you can savor them all at super accessible prices, as well as purchasing the handicrafts of the region. Without a doubt this festival is one for the bucket list, something you must do at least once in your lifetime! It is very important that you wear comfortable shoes and clothes, you are going to walk a lot to in order to get a taste of every incredible attraction. We recommend that you read the program and decide which events you want to attend so that you can plan ahead and not waste time getting lost in the park. Bring extra money to buy food and a souvenir at the festival. Get there early! Arrive with enough time to park, taking into account that if you go by car it is possible that you will be sent to a lot a distance away from the entrance and you will have to wait for Xcaret transportation to approach the ticket offices. When planning a trip to the next vacation spot there is a checklist of things to do, better known as “the travel bucket list” in order to make the most out of our time at the selected destination. That said, food has an unbeatable place in any good traveler bucket list. 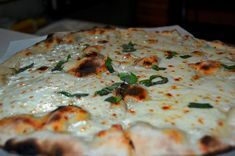 We are not exaggerating when we say these are going to be some of the best pizzas you may try in your entire life. While this restaurant offers a variety of italian dishes in its menu going from traditional pasta to scrumptious calzone; your palate will be please with all the sophisticated flavors and generous meat cuts and seafood. 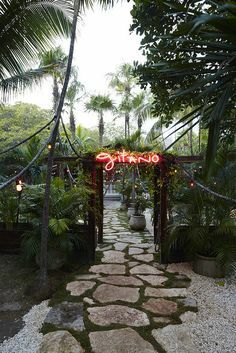 La Nave is located in downtown Tulum, has very affordable prices ranging from $10 to $20USD per person and embraces the relaxed and stress free vibe that makes Tulum a unique destination. If seafood is your thing, then this Tulum restaurant has a ceviche challenge for you! The chefs here have mastered the art of ceviche, which is unsurprisingly one of their most popular dishes, being the “Jumbo” version big enough to feed an entire family or a group of friends who don’t mind sharing their food. Among other delicious specialties you are going to find here coconut shrimps and massive burritos stuffed with seafood. 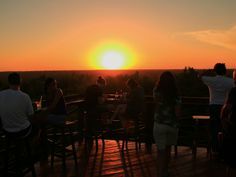 The hypnotizing atmosphere of this place makes you want to walk in immediately before you realize that its rooftop terrace is the place to watch spectacular sunsets. This Tulum restaurant is located in the town’s well known Hotel Zone, it’s proposal for an unforgettable evening is simple: live music and shows with performance artists, delicious grilled food and carefree mood that will bedazzle you. We recommend to splurge with your budget here, even if their price range is reasonable, you are going to get the best value for your dollars. Tulum locals recommend this spot for casual lunch. Located on Tulum’s main avenue, Don Cafeto is a traditional restaurant among locals. 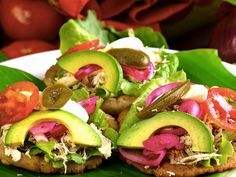 You will find mexican dishes as well as international cuisine to fill your tummy at lunch time. It is perfect to visit with the family and its food will give you plenty of energy to carry on with all of your Tulum adventures. Whichever of these 4 restaurants makes the cut for your food travel bucket list in Tulum will not only leave you craving for more but you are also going to take a beloved piece of memories of paradise with you home. Apart from the archaeological site, there are a lot of reasons for which you should come to Tulum for your next vacation. Here, we will share the best reasons for you to explore deeply this dreamy place. Tulum is near nature and afar from the crowds. 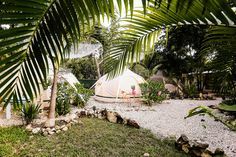 One of the main characteristics of the hotels in Tulum is that they are not properly hotels, this means that they are mostly ecological cabins, but they have all the comfort and amenities as a hotel. 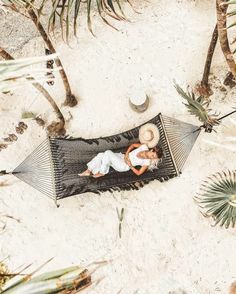 You’ll avoid making lines and you will enjoy a more personalized treatment in every cabin you choose to stay; because rather than being a destination for the masses, Tulum is for travellers who seek for an alternate way of vacationing. Going out at night in Tulum is quite an experience. 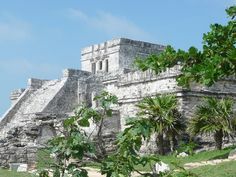 Tulum also offers a nightlife for those who want to party. You will have the opportunity to savor your favorite drink in one of the bars next to the beach while you dance barefoot on the fresh sand. If you rather do something calm, there are also restaurants and bars that have a bohemian touch. This place’s location makes it an excellent departure point to other destinations: it is located between Playa del Carmen (great place for shopping), and Valladolid, a lovely colonial city, in Yucatan. 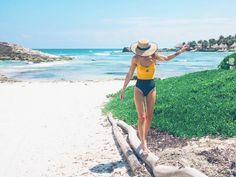 Also, Tulum is surrounded by a surprising amount of fresh-water sinkholes or cenotes, and it is located near Akumal, a place famous for its snorkeling with turtles tours. 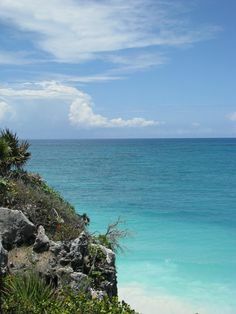 The gorgeous view from the archeological site to the ocean is a reason itself to go to Tulum. Zamá, the original Mayan name for the city of Tulum, is the third archeological site in Mexico to welcome the most visitors annually. Tulum is accessible for every budget. There are places in Tulum that are at reach to every budget. There can be places you’ll have to spend a bit more for a drink or for accommodation, but also there are places that don’t stray too far from the bohemian and relaxed scene that you are after. 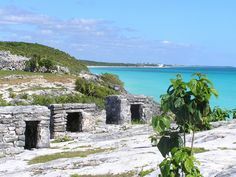 Also, there is a broad variety of tours very near Tulum. Besides, there are a great deal of fresh-water sinkholes or cenotes that are available for a fair price. And finally, to walk on Tulum’s beaches, the most beautiful of all the Mexican Caribbean, is free! One of the most popular things to do in Tulum is to pay a visit the Xel Ha park, a Riviera Maya excursion like no other! 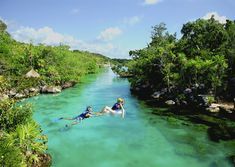 Float calmly down the Xel Ha river on an inner tube (highly recommended for those who want to get a spectacular tan) or snorkel and swim at your own pace a little more than a kilometer until you reach the end of the river at a fabulous lagoon. You will end up right in front of the main restaurant. This is perfect because after this activity I can guarantee that you’ll be hungry! This all inclusive Riviera Maya theme park is known for offering incredible treats and delicious food at each of the 4 restaurants. Xel Ha recently opened a new Riviera Maya attraction full of adrenaline that was made for the more adventurous members of the family. It is the “Faro Mirador”, a 40 meter tall tower with spectacular views and with 4 exciting waterslides reach the bottom. This new attraction of Xel Há has a 360º view and is truly breathtaking. If you are seeking relaxation, the Xel Ha hammock gardens are ideal! Although with more than 90 marine species making the park home, you’ll definitely want to snorkel Xel Ha. 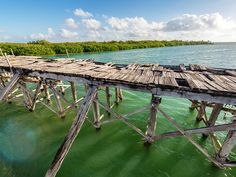 If you are interested in seeing fish like barracudas, parrot fish or snapper we recommend swimming near the floating bridge where you’ll be amazed by the fishy friends you’ll make. If navigating the river, snorkeling in the cove, launching yourself down one of the slides and delighting the palate with an exquisite meal is not enough for you, hold on! The Xel Há Park ziplines will thrill you and a variety of guided tours will educate, you can even plant a tree and baptize it with a name. There are so many reasons to visit this park! If you have kids in the family, the Children’s World area of ​​Xel Há will be most entertaining for them with a very special treehouse, toys for the little ones and a perfect slide for the younger set. Family travel in the Riviera Maya at its very best! Xel Ha awaits you with a fun filled day! Packing for a trip is always a mess. The airlines with their luggage limit, you have to carry it all the time, or even that you have to leave some empty space for all the souvenirs you will buy on your destination. And in the end you end up carrying unnecessary things. The first thing you must pack is your bathing suit. Most of the activities in Tulum, if not all, are water activities. You either spend all your mornings at the beach, or you can visit the famous regional fresh-water sinkholes Cenotes, and also explore the underground rivers, among lots of other activities. So don’t forget to bring at least a couple of bathing suits so that you don’t have to worry about what you will wear the next day on your next tour. 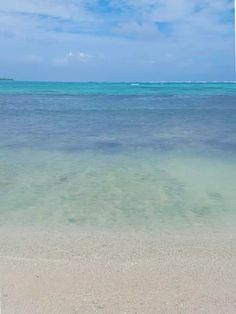 No matter the time of the year you come, in the Mexican Caribbean we live in an eternal summer, so pick comfortable clothes and shoes but above all they must be light. Even if you are planning to out clubbing or to a bar, this style is the best for the nonchalant Tulum scene. Every trip needs to be remembered. A waterproof camera will make you take the best memories of your time in Tulum. Quintana Roo is an spectacular place from the ground as it is underwater. The images you will take when you are submerged deserve to be preserved on a picture. only use 100% biodegradable chemical free sunscreen. The only ingredients that must contain are: Zinc Oxide and Titanium Oxide. You can bet that the nightlife in Tulum doesn’t compare with anything you can find in Cancun or Playa del Carmen. Tulum has a more relaxed and nonchalant environment at any time of the day. The bars in the city, as the bars that are at the beach, will make you enjoy an unforgettable moment. Girls, forget about high heels and formal dresses. Guys, take advantage of the destination to go out and have fun in shorts and sandals, Here it’s all about having a good time! 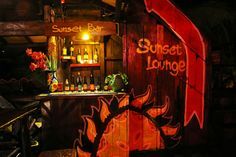 Tulum’s nightlife is different from others because in almost every bar and nightclub there’s live music. In the restaurants and bars that you can find in the city, the common thing are reggae, jazz, and salsa bands playing live. Nevertheless, it doesn’t limit to those genres, there are places for every taste, it’s just a matter that you walk around the principal avenue and decide which place you want to have fun in. 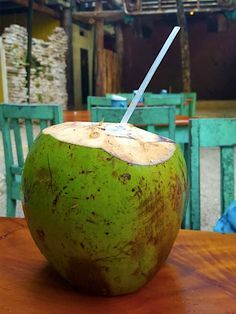 But if you are looking for a more bohemian experience, even romantic, then you must go to the bars in the Tulum Hotel Zone. There you will find the perfect scenario to enjoy a night of partying with friends or your significant other, having the beach, the waves, and the breeze as your special guests. And if you’re lucky, the moon can be the icing on the cake! With any option you choose, we guarantee that you’ll have a night out in Tulum that you will not compare with anything else. The essence of this charming place will make you want to come back in your next vacation.